First Time Drivers / D.A.T.E. Driving Lessons / Driver's Ed. 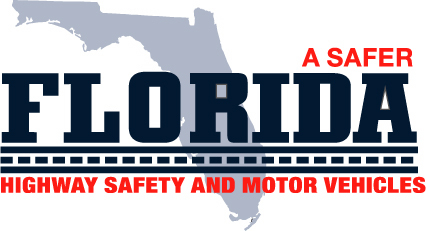 What we collect on some SUNCOAST SAFETY COUNCIL Websites: You can order products or services, make information requests, subscribe to marketing or support materials, or register yourself or your SUNCOAST SAFETY COUNCIL products. The types of personal information you provide to us on these pages may include name, address, phone, email address, user IDs and passwords, billing information, transaction, credit card information and contact preferences. To personalize our Websites, services or communications and improve our products and services, we may also ask you to provide us with information regarding your personal or professional interests, demographics, and experiences with our products or services. Providing this additional information is optional. Anonymous (non-personal) data we collect may include the pages visited on safety.org, unique URLs visited within safety.org, browser type and IP address. Most anonymous data is collected via cookies or other analysis technologies. Onward Transfer of personal data given to SUNCOAST SAFETY COUNCIL may be transferred across state and country borders for the purposes of data consolidation, storage and simplified customer information management. The practices which govern this data movement are described in our commitments in the Choice and Security sections of this privacy statement. Access & Accuracy: SUNCOAST SAFETY COUNCIL strives to keep your personally identifiable information accurate. We have put in place managerial data standards, review processes and technological tools to maintain customer data accuracy. We will provide you with access to view and change your information, including making every effort to provide you with online access. To protect your privacy and security, we will also take reasonable steps to verify your identity, such as a password and user ID, before granting access to your data. Certain areas of SUNCOAST SAFETY COUNCIL's Websites may limit access to specific individuals through the use of passwords and other personal identifiers. The most effective way to view and change your personal information is to return to the web page where you originally submitted your data and follow the instructions on that web page or send us a message as described in "Contact us" below. Data access is also available upon request. Security: SUNCOAST SAFETY COUNCIL is committed to ensuring the security of your information. To prevent unauthorized access or disclosure, maintain data accuracy and ensure the appropriate use of the information, SUNCOAST SAFETY COUNCIL has in place appropriate physical, managerial procedures to safeguard the information we collect. We use SSL encryption when collecting or transferring sensitive data such as credit card information. Credit card numbers are only used for processing payment and are not used for other purposes. Our efforts to protect credit card fraud help protect your financial data security. Some SUNCOAST SAFETY COUNCIL web pages and HTML-formatted E-mail newsletters use web beacons in conjunction with cookies to compile aggregate statistics about Website usage. A Web beacon is an electronic image, called a single-pixel (1x1), or clear-GIF. You may render Web beacons unusable by rejecting their associated cookies. This data is not personally identifiable or linked to personally identifiable information. Take care of yourself. Regular exercise makes you less injury prone. And don�t forget sleep � when you�re well-rested, you can better avoid everyday hazards, both at home and at work. Remember: Staying healthy is one of the best ways to stay safe!